For use in telephone & security installations. 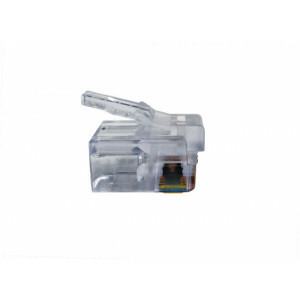 Faster, easier terminations with reduced scrap. For specialized telephone installations & communications equipment. For applications requiring custom/specific wire configurations. Works on solid or stranded wire. 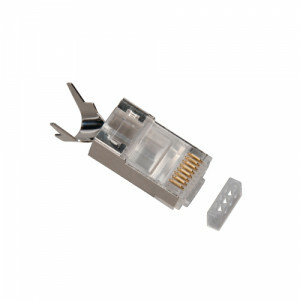 Max cable OD: 8.5mm/0.335" Max conductor OD: 1.35mm/0.053" UL and RoHS compliant *Connector is only compatible with our Tele-TitanXg and Tele-TitanXg 2.0 Crimp Tool. Please see related products. Zero flex frame prevents torque loss during the crimping cycle. Tool steel die head assembly provides 360 degree of connector support during crimp. 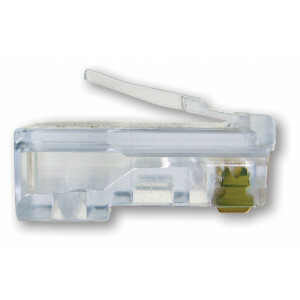 Clean, ultra flush trim on the EZ-RJ45 extended conductors. Expanded surface area on contact drivers delivers full, uniform crimp force. 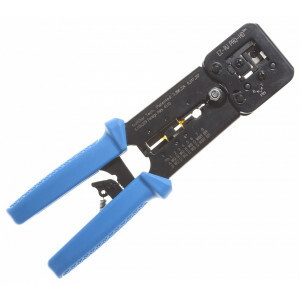 Built-in cutter and stripper for flat and round cable. 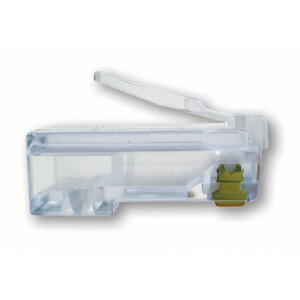 Patented "crimp and trim system" delivers a clean, flush trim on the extended conductors for all EZ connectors. Ratcheted, high leverage and stable platform for consistent, repeatable terminations.